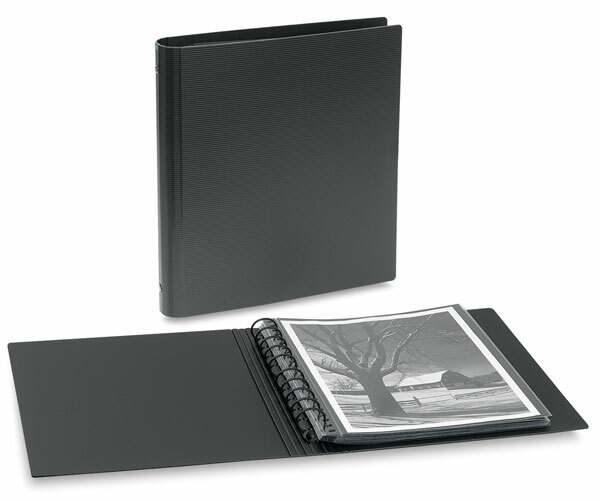 The durable, stiff black covers of these binders are archival and PVC-free to protect your artwork. Pages lie flat in easy opening rings, making these ideal for presentation purposes. Cover and pocket sheets are made from recycled polypropylene. ® Itoya is a registered trademark.® Art Profolio and PolyGlass are registered trademarks.